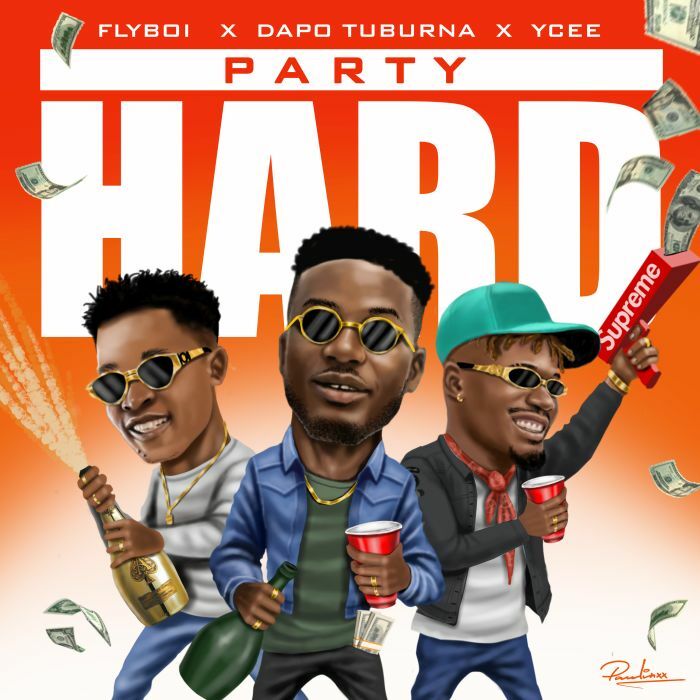 #Flyboi, #Ycee and #Dapo Tuburna team up as they drop a brand new single titled "Party Hard". Flyboi who has been gathering a buzz since his previous single with Duncan Mighty titled "Igbenedion" opens the year with this Naizor produced jam along side Ycee and Dapo Tuburna. Download and enjoy this cool tune "Party Hard" by Flyboi x Ycee x Dapo.